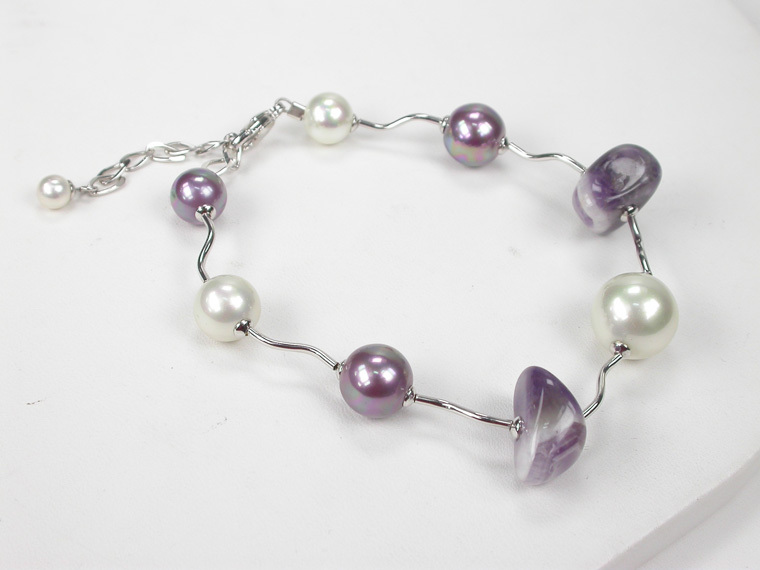 An original gift for a young woman! 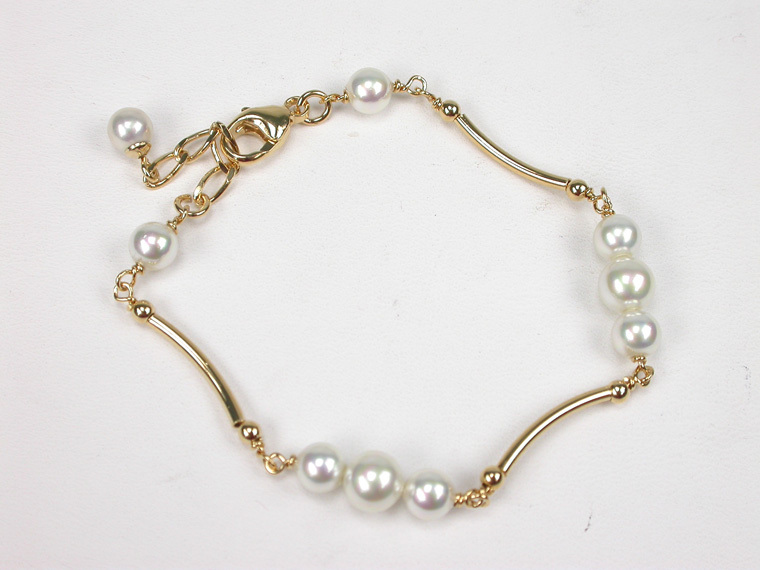 Brown leather bracelet with pearls in 12 and 14 mm., Sterling Silver and Hematites in adjustable length to fit all sizes. An original gift for a young woman! 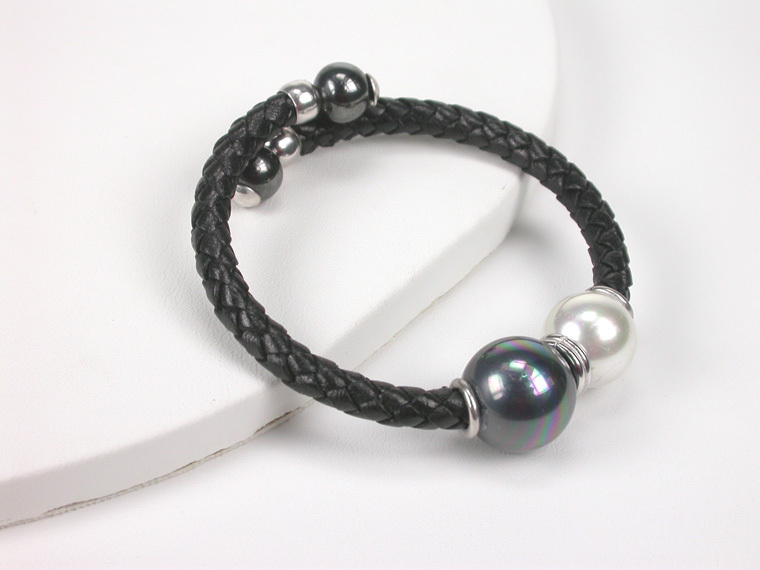 Black leather bracelet with Black&White 12 and 14 mm. 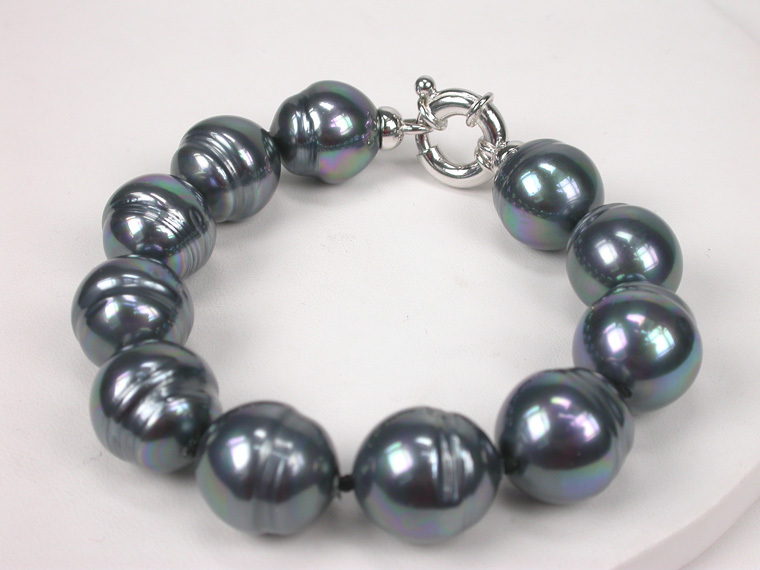 pearls, Sterling Silver and Hematites in adjustable length to fit all sizes. 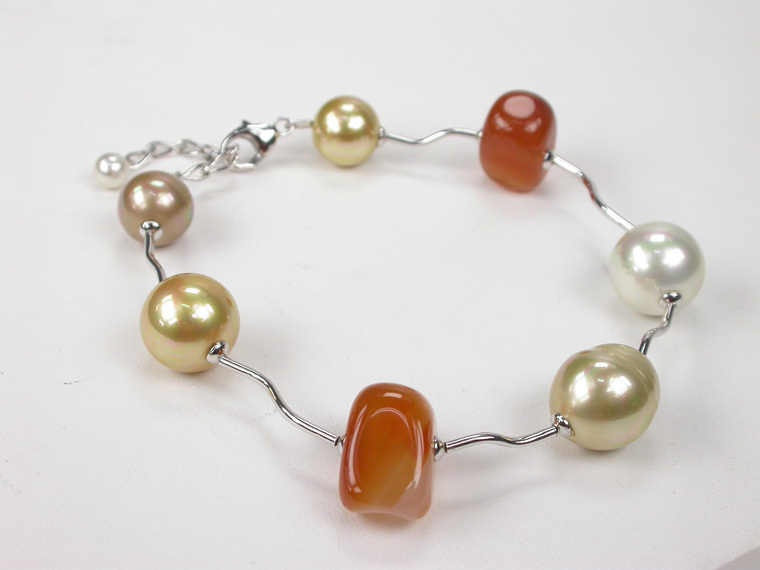 Very original bracelet that combines delicately white, copper and golden pearls with Carnelian stones and sterling silver tubes. The length is adjustable from 19 to 23 cm. 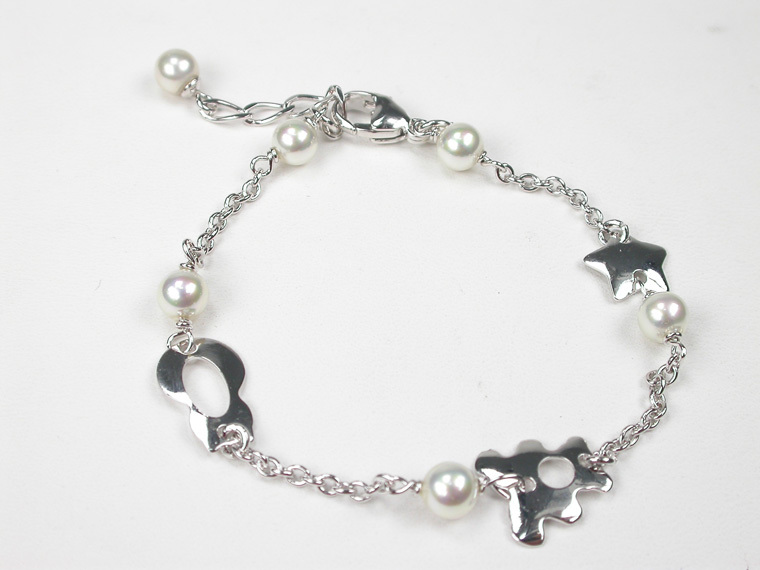 Pretty Sterling Silver bracelet with 5 mm. 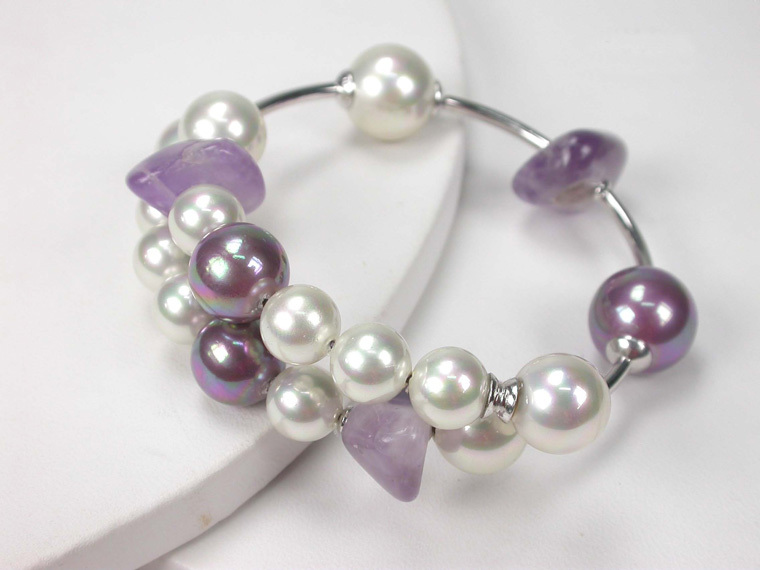 Pearls and fantasy charms for the younger girls that will be her favorite accessory to accompany her for many years thanks to its adjustable length from 15 to 19 mm. 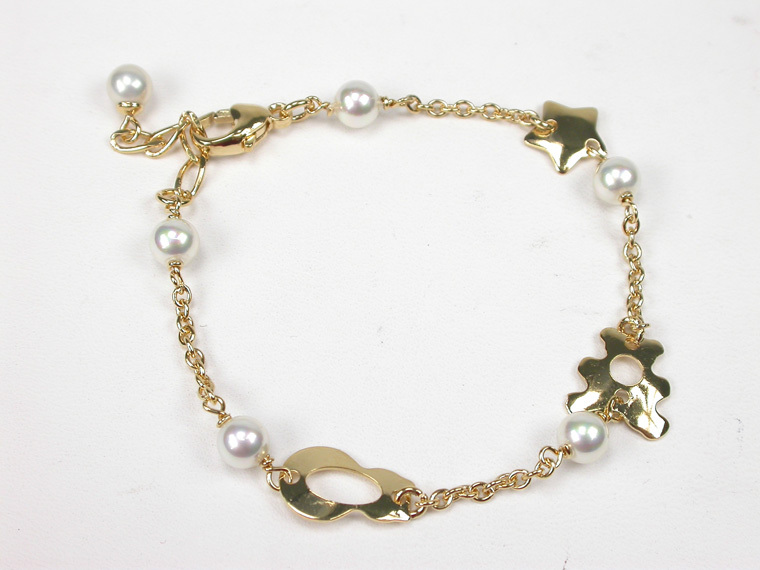 Pretty 18 karat goldplated Sterling Silver bracelet with 5 mm. 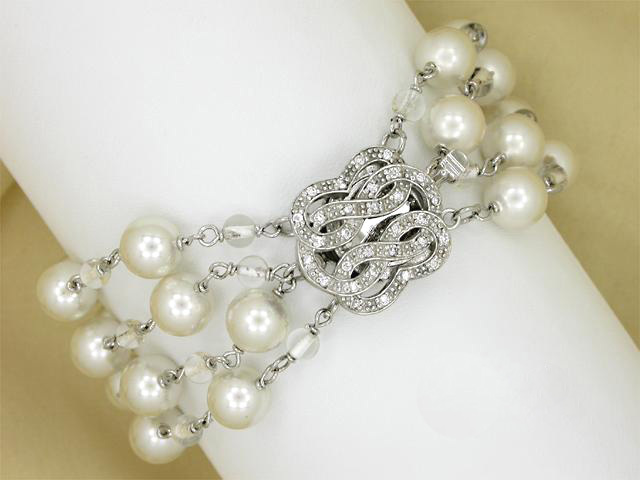 Pearls and fantasy charms for the younger girls that will be her favorite accessory to accompany her for many years thanks to its adjustable length from 15 to 19 mm.